The Author: Gracy Ukala Dr Grace Ukala - penname: Gracy Ukala. Dr Grace Ukala, has a wealth of experience in education, life-coaching and business. Her educational qualifications include: BA (Hons) English, Postgraduate Diploma in Education (PGDE), Master's degree in Education, M. Phil. and Ph.D in Educational Management and Counselling. As a teacher for over 35 years, she achieved commendations as an outstanding head teacher while she was Principal of Emotan College, Benin City, Nigeria, for almost ten years. While in the UK, she was Head of Department of English for many years in two London Secondary Schools, as well as Manager of a Learning Support Unit in a Boys' Secondary School, also in London. She took early retirement from teaching a few years ago to run her own business. Dr Ukala also has a range of qualifications in Life Coaching - Executive Coaching, Personal Performance Coaching, Youth Impact & Parental Coaching, as well as a Diploma in Neuro-Linguistic Programming - NLP. As an NLP Practitioner, Dr Ukala is highly qualified in the art of helping people achieve their highest potential. Dr Ukala has also been a member of her religion's Clergy for many years now and her wide experience in spiritual matters makes her an excellent spiritual coach. Visit: www.amazingsuccesscoach.com. Dr Ukala is a very proud mother of six lovely children, who, although now all very successful adults, have not forgotten her excellent qualities as a mother - caring, loving, dedicated and passionately committed to their success in their various life pursuits. They would gladly recommend her to new mothers and fathers who may need her help with parenting issues. Dr Ukala is an award-winning novelist. 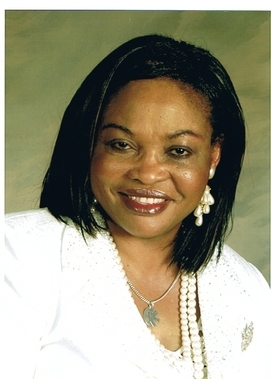 Some of her published writings include three novels: Dizzy Angel, (UPL, Nigeria, 1985,) The Broken Bond,(UPL, Nigeria, 2001) and Ada in London, (Outskirts Press, Ontario, 2005). She is also a published poet, short-story writer and playwright. To contact the author, please fill out the form on the enquiry page or email: info@graceukalaswritings.com.